Obtenez ce transfert de bail pendant 29 mois pour des paiements mensuels équivalents U 484.45$/Mois +Tx apr s incitatif. Vous pourrez rouler 1,517 Km par mois. 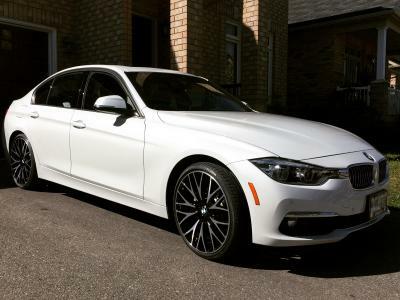 No Charge Scheduled Maintenance 4yr/80k, 20inch Wheel Style 404, Premium Pakage Essential, Heated Steering Wheel, Glass Sunroof, Fineline Anthracite Trim w/ Chrome Highlight, Mineral White Metallic, Black Dacota Leather, Platinum Theft Security, MSPR $55K. PLus Winter Tires and Premium Tint.